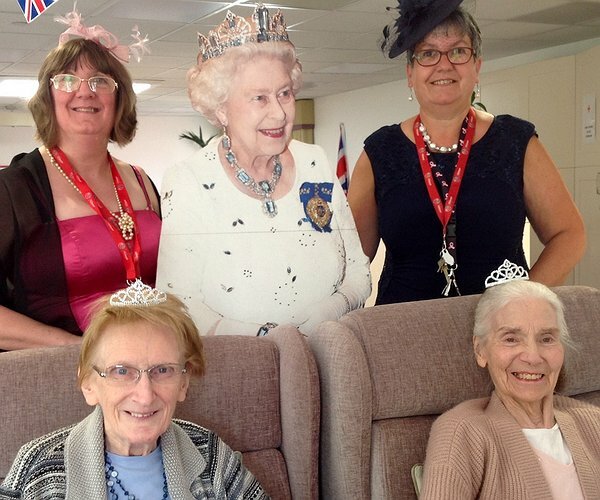 Residents and staff at the Chirk Court care home in Chirk enjoyed celebrating the Royal Wedding with their own party last weekend. As well as all their royal decorations, Mrs Cath Moore, Division Commissioner Berwyn Division, Llangollen District, Maelor District and Ruabon District Girl Guides donated a huge floral arrangement to add some extra colour to the day. “It was a lovely gesture and added a fabulous splash of colour to the reception area for all to enjoy,” said Mandi Southern, Activities Coordinator for the care home, which is managed by Clwyd Alyn Housing Association. "Housing Group’s commitment to build more affordable homes"
"Cupcake treat at Chirk Court"